Food Plant: Hydrocharis morsus-ranae (Frogbit), Sparganium species (Chamomile), Potomogeton spp. Notes: A common species in the UK. 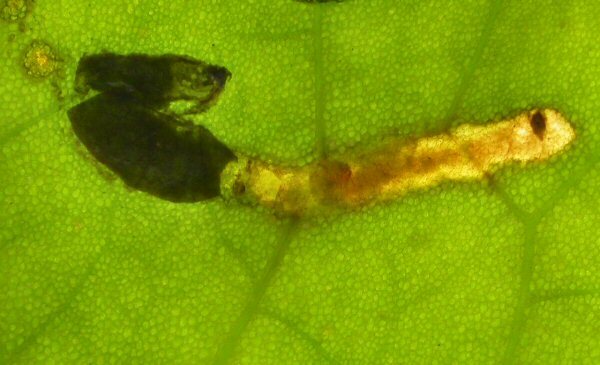 It mines the leaf for the first three days and then forms a flat case from which the larva feeds (as shown). It causes blotches on the leaf as it eats the underside.